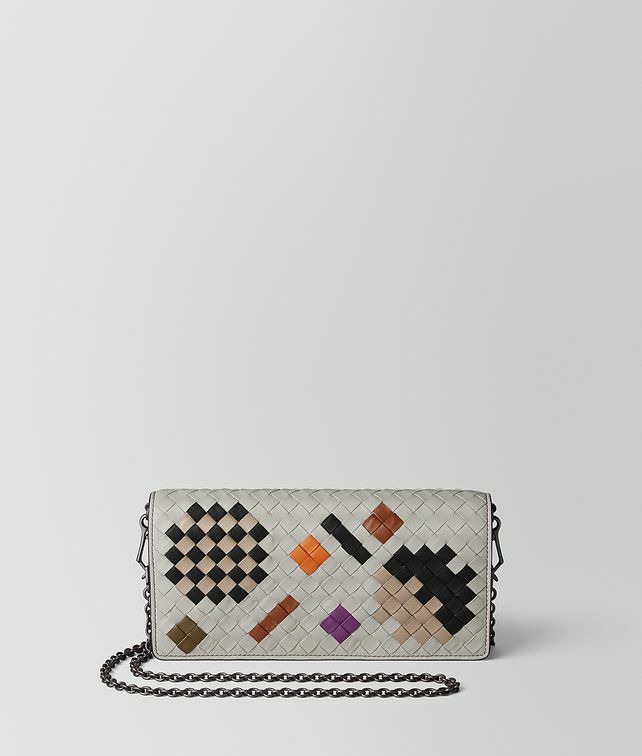 Doubling as a chic and compact clutch, this wallet-on-chain showcases this season’s most exciting workmanship—intrecciato abstract—which evokes abstract expressionist art. Fastened with a snap button under the flap, it features 8 credit card slots, a compartment for notes and a zip pocket for coins or small accessories. The chain strap can be detached. Height: 16 cm | 6.3"
Width: 24.5 cm | 9.6"
Depth: 1 cm | 0.4"